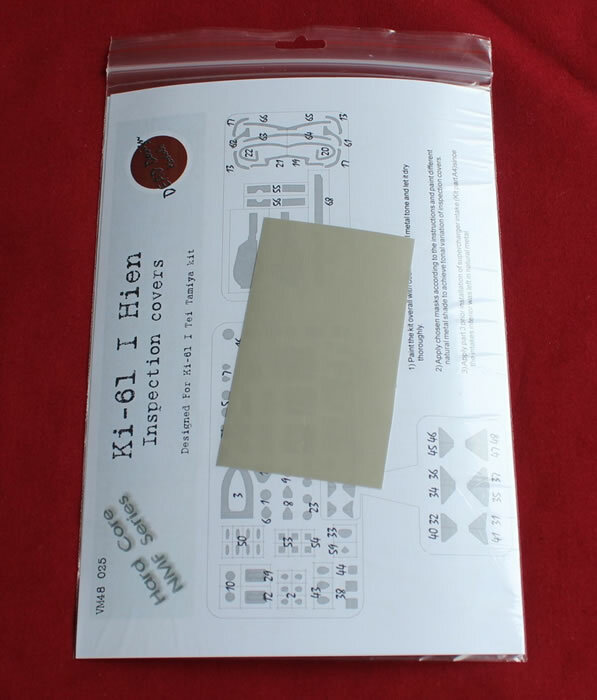 Self-adhesive die-cut masks plus instructions. 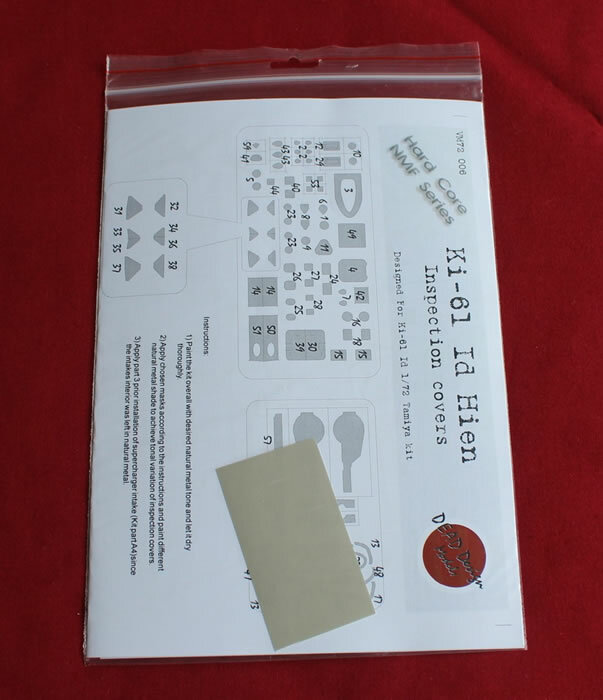 Time saving and creative (especially the inspection cover masks); simple to use; clear instructions. 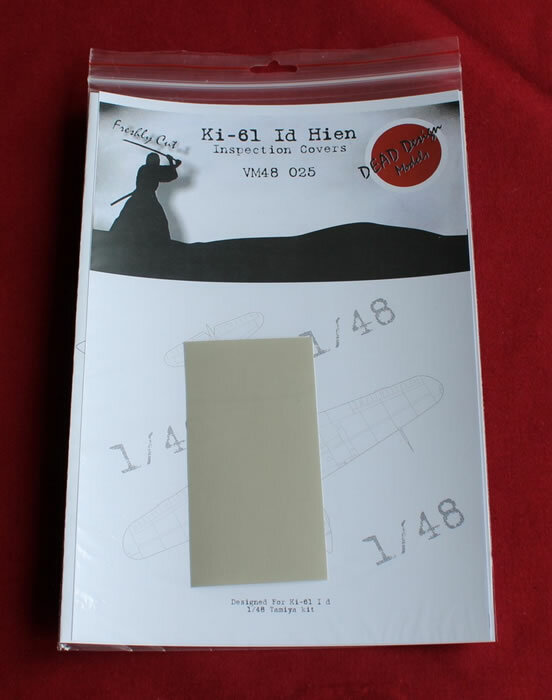 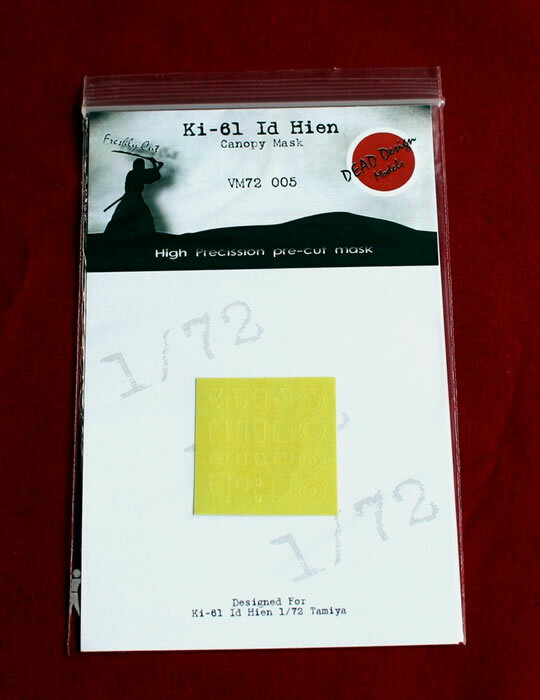 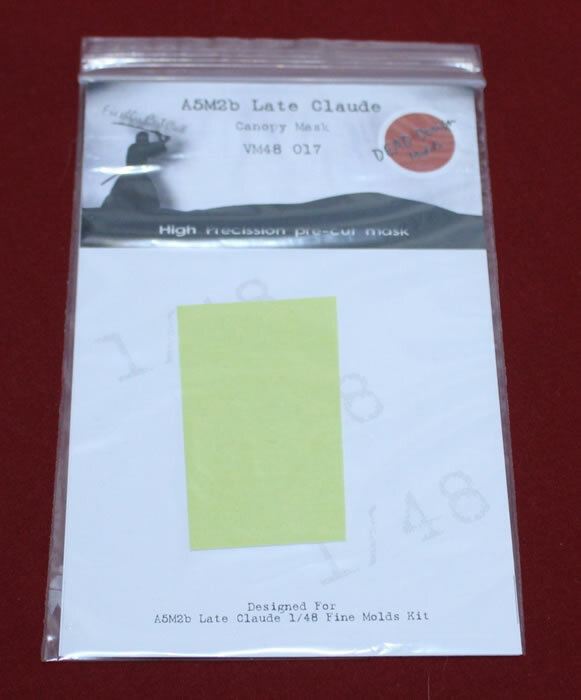 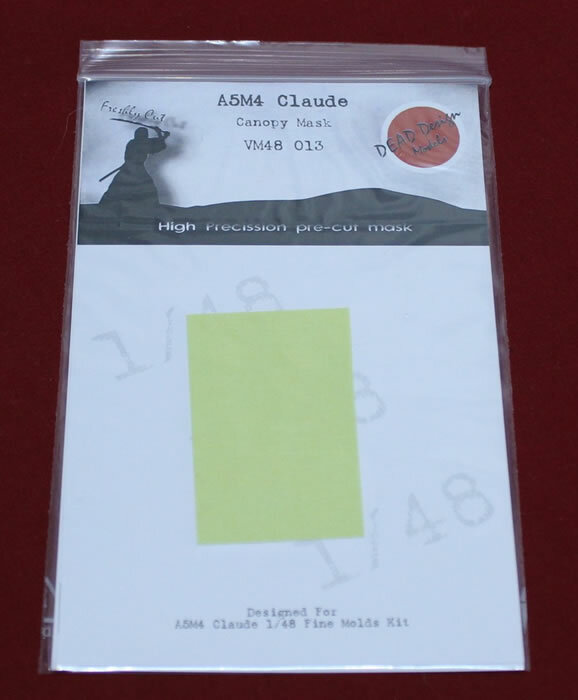 These are useful time-saving and easy to use masking sets for anyone building the Fine Mold 1/48 scale Claude or Tamiya 1/72 and 1/48 scale Hien kits. 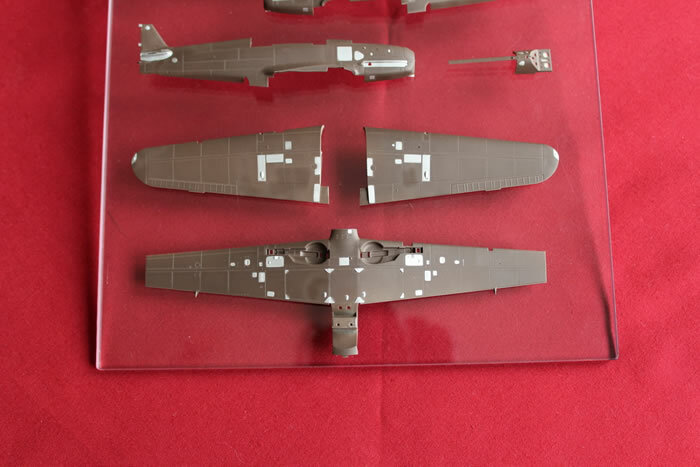 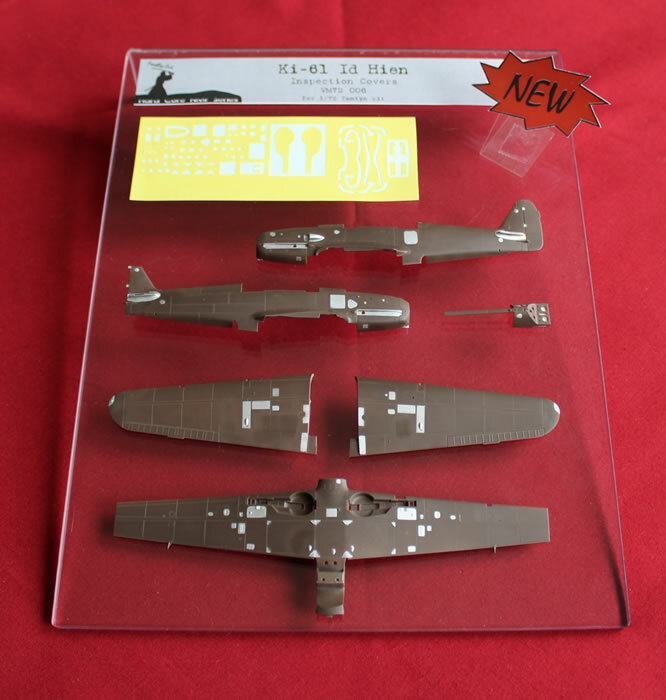 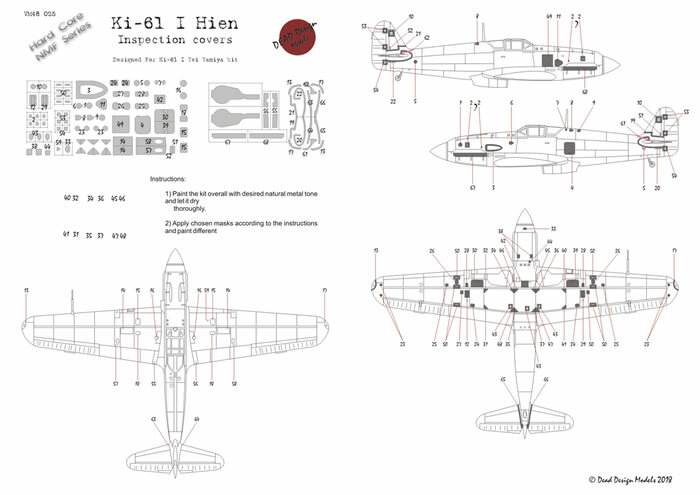 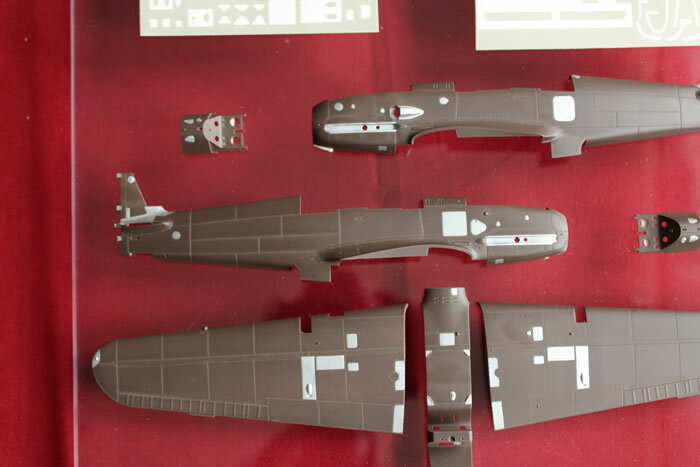 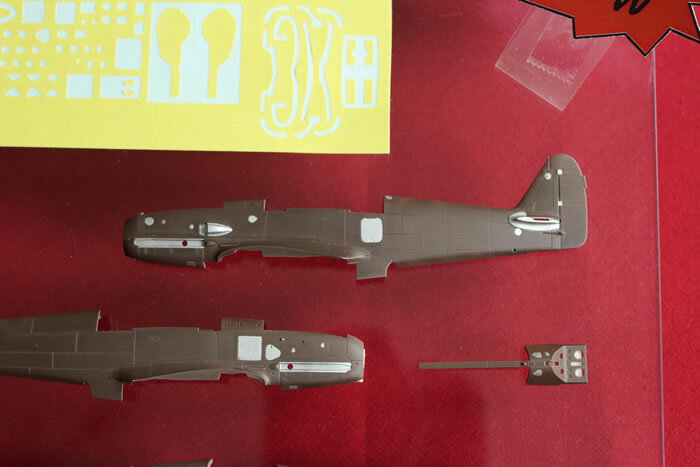 Fine Molds' A5M Claude and Tamiya's Ki-61 Hien are all lovely kits with a high level of detail and state-of-the-art surface textures. 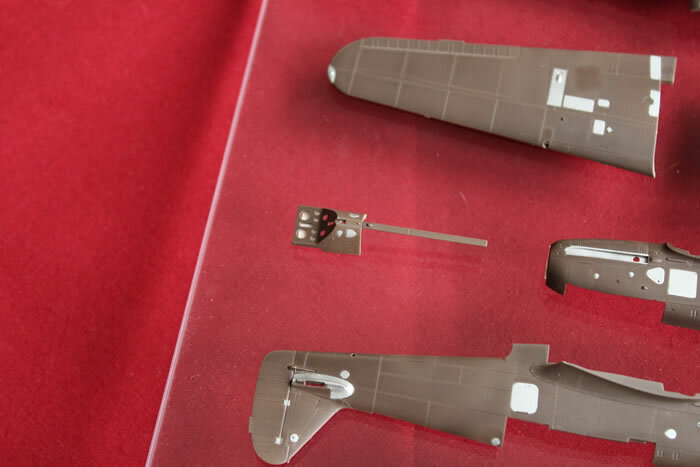 Many of the marking options for these diverse types are based on a bare metal finish. 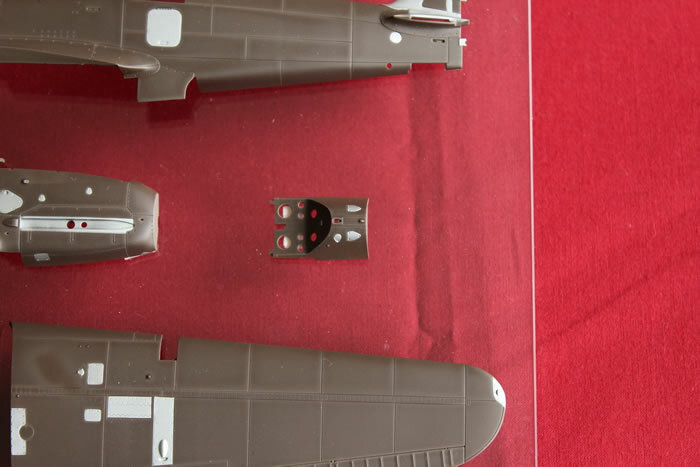 One of the challenges of natural metal schemes is achieving an interesting, varied and credible finish. 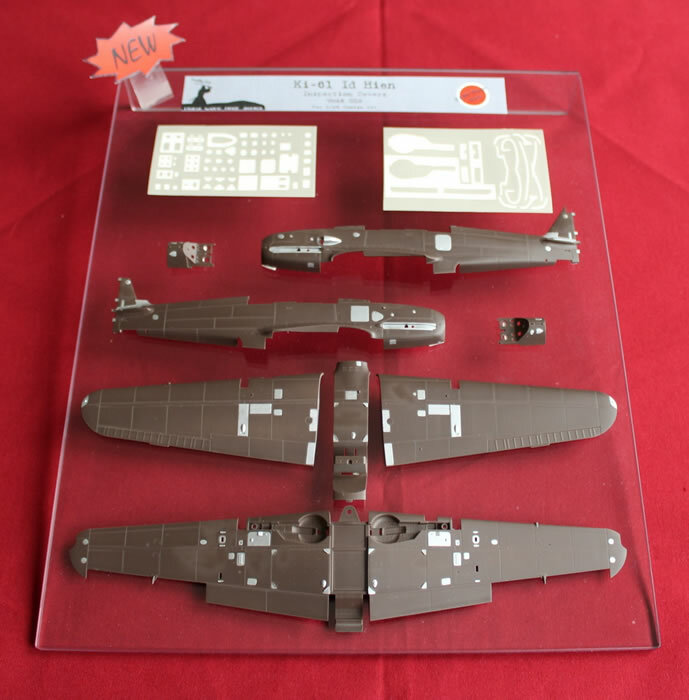 Dead Design Models has released a number of self-adhesive die-cut masks covering (literally) various access hatches and panels on the wings and fuselages of all these aircraft. 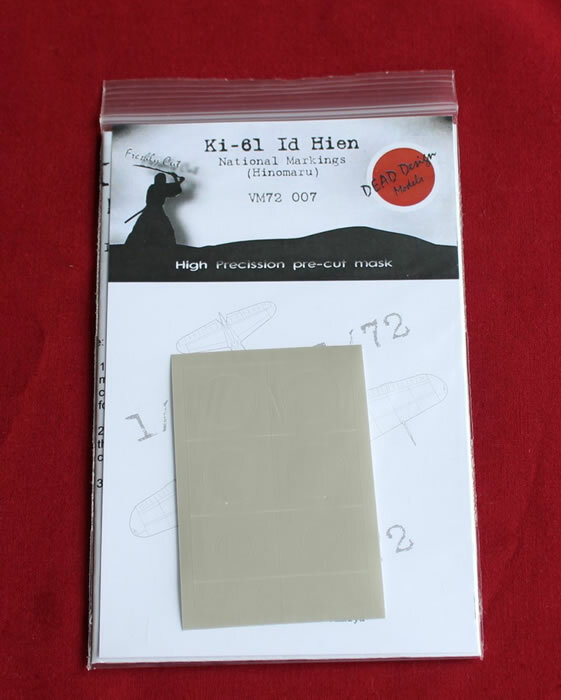 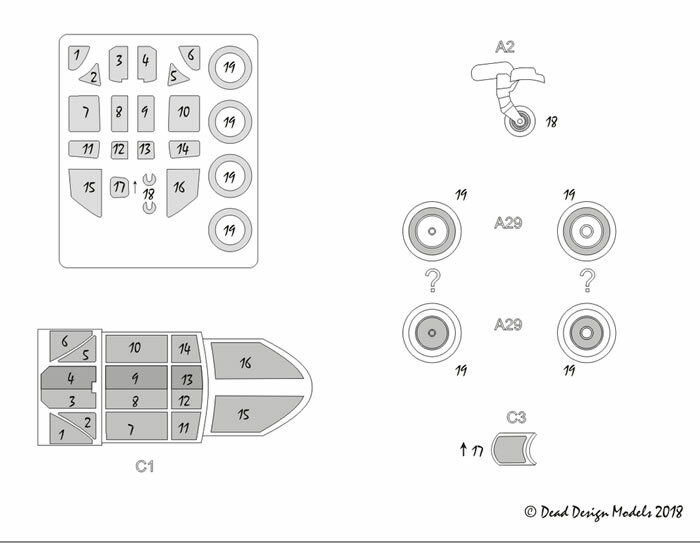 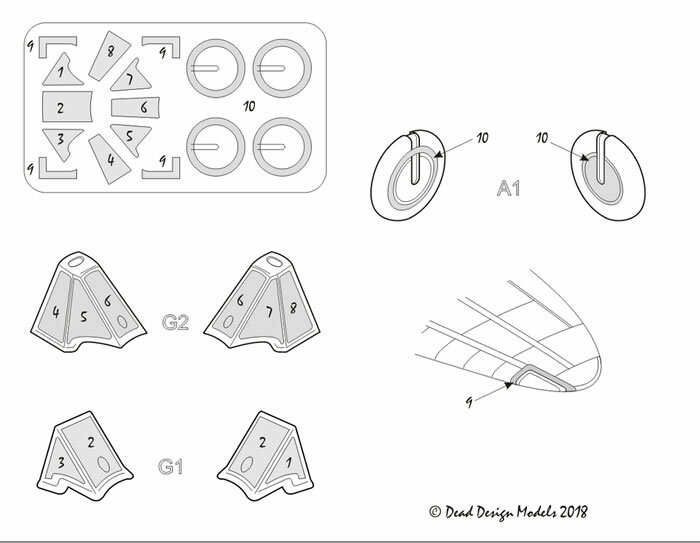 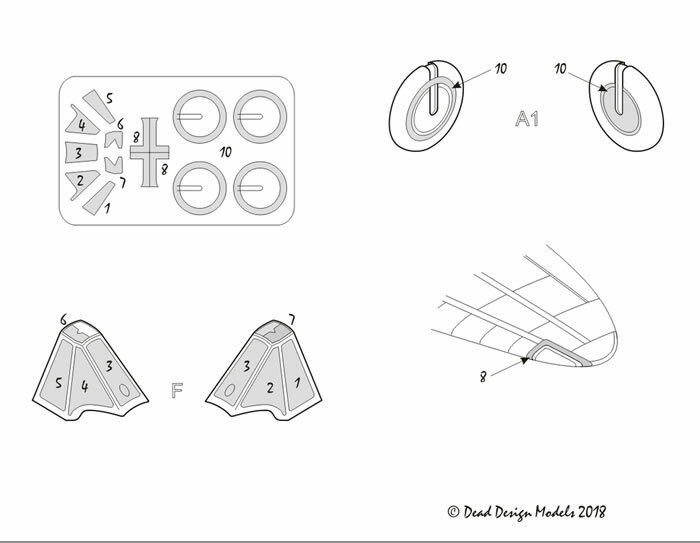 Dead Design is offering these sets for both the Tamiya 1/72 and 1/48 scale Hiens and the 1/48 scale Fine Molds Claudes. 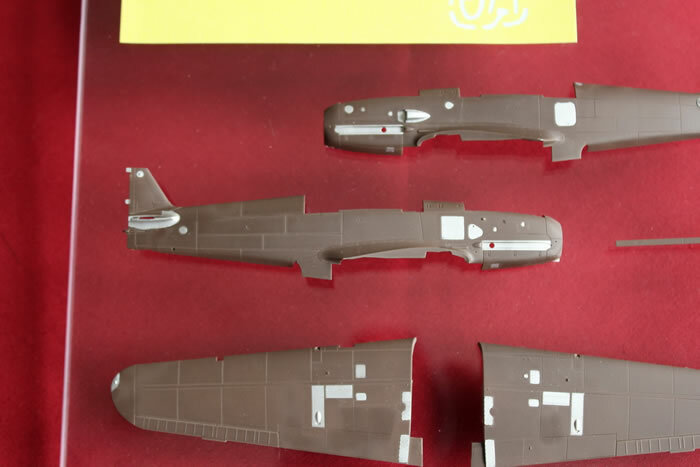 The application of the masks could not be simpler - peel off the backing and apply to the painted surface of the model, spray the metal paint variation over the top of the masks then remove the masks once the top coat is dry. 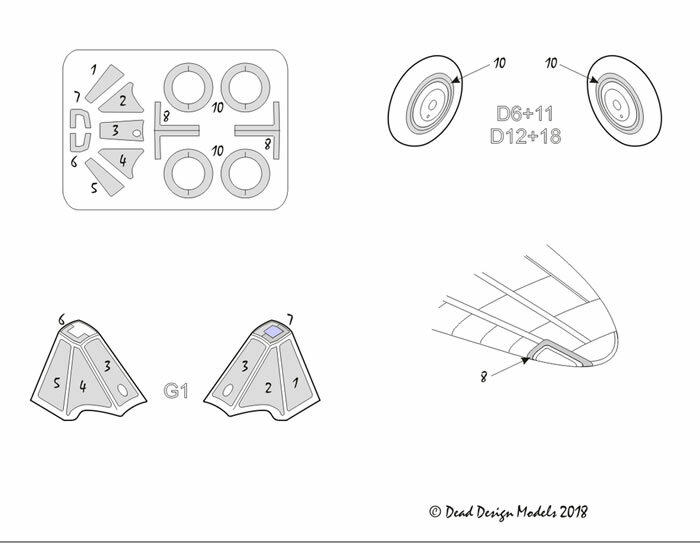 In addition to the inspection panel masks, Dead Design has also released canopy masks for these models, available separately. 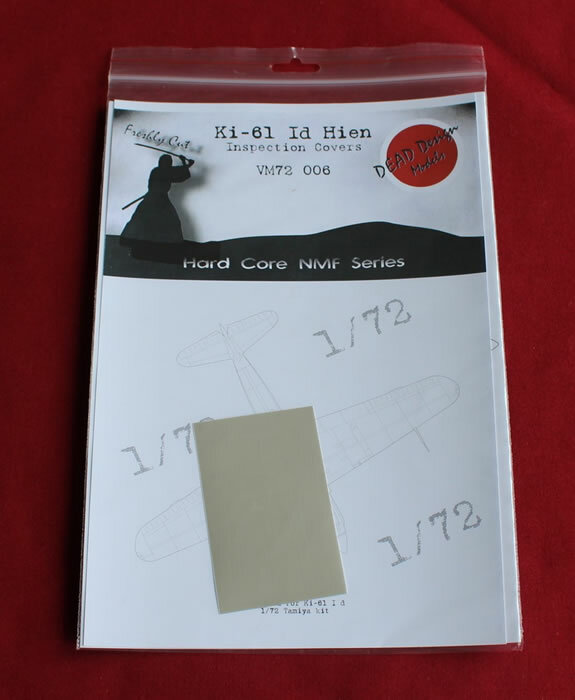 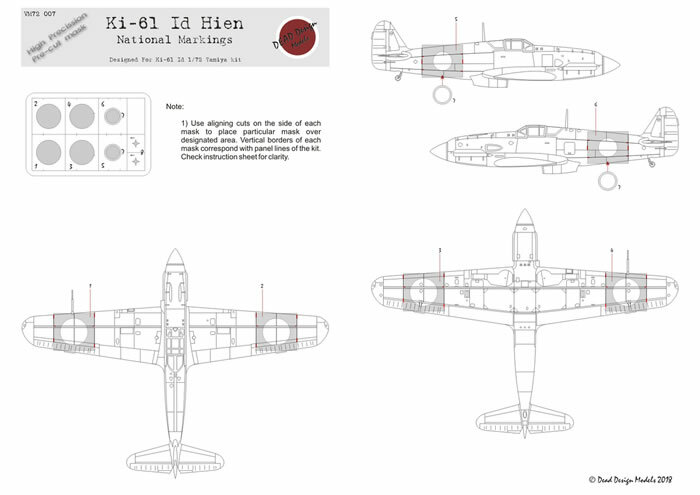 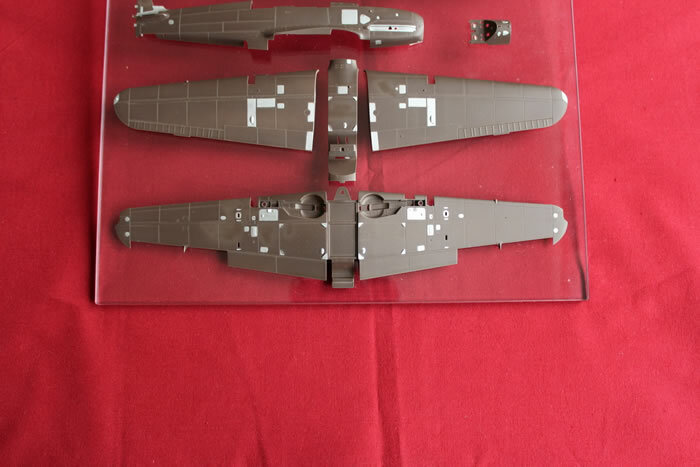 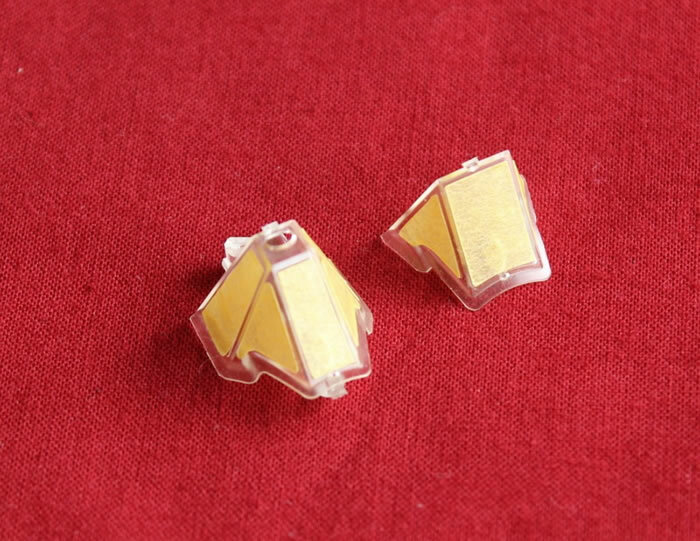 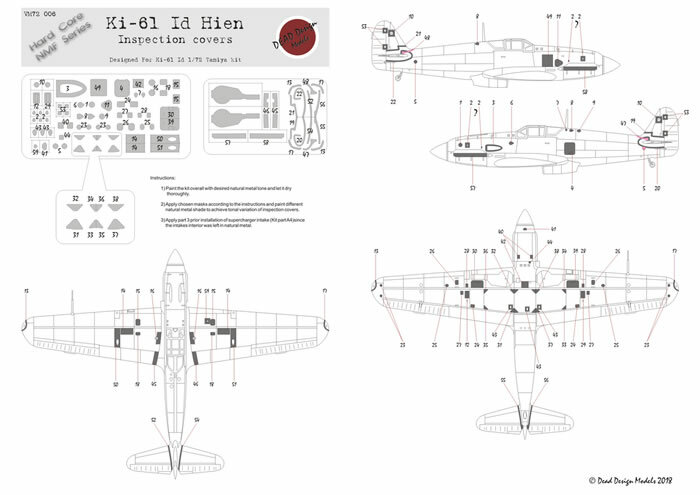 These also masks for the landing light (Ki-61), wing tip navigation lights (A5M), main wheels and tail wheel. 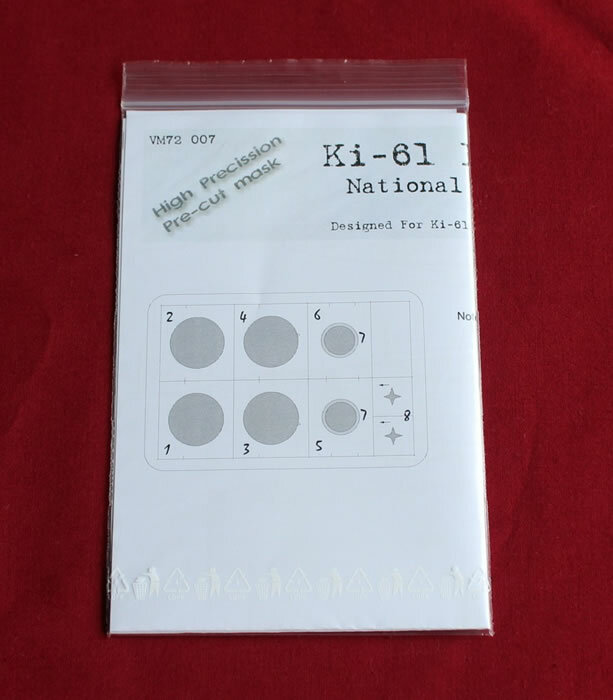 The final related release from Dead Design is a set of Hinomaru masks for Tamiya's 1/72 scale Ki-61 Id Hien. 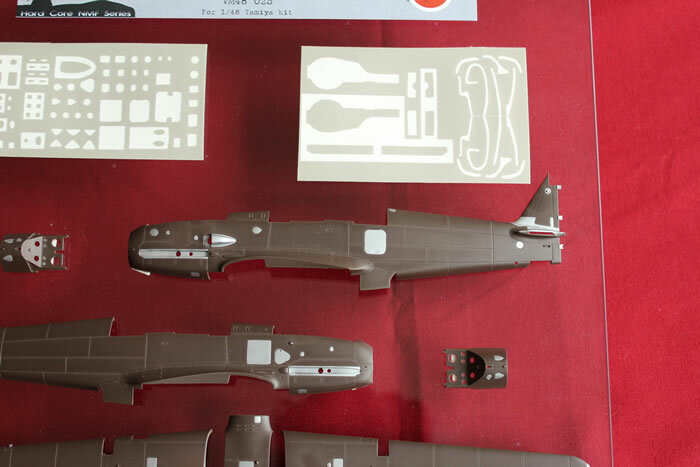 Masking these simple meatballs will be a sensible option over the bare metal finish. 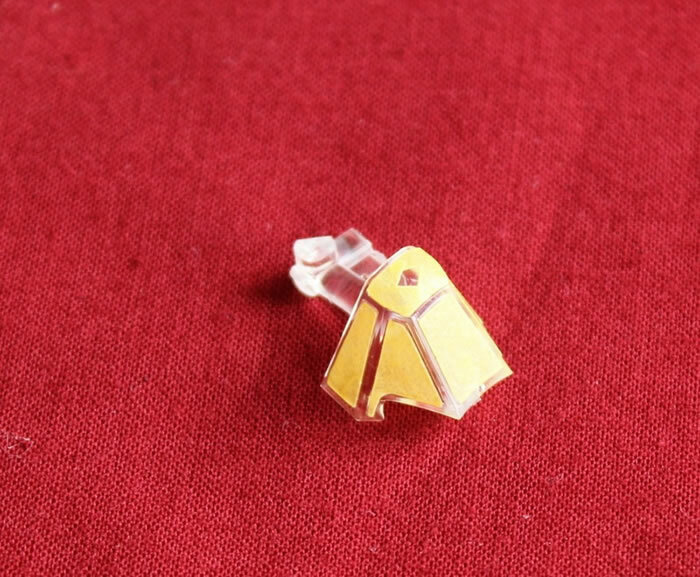 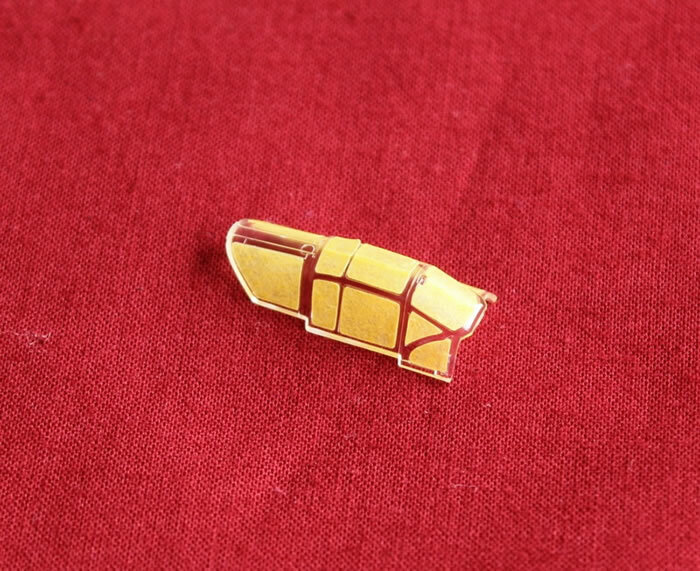 Thanks to Dead Design Models for the sample.